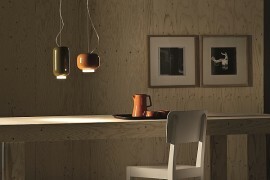 Are you awaiting the start of the Milan Design Week as anxiously as we are? The next few days promise to offer plenty for all of us design aficionados. 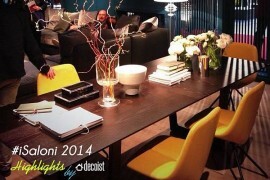 We at Decoist, as always, will bring you the latest from Milan’s International Furniture Fair this year as well. 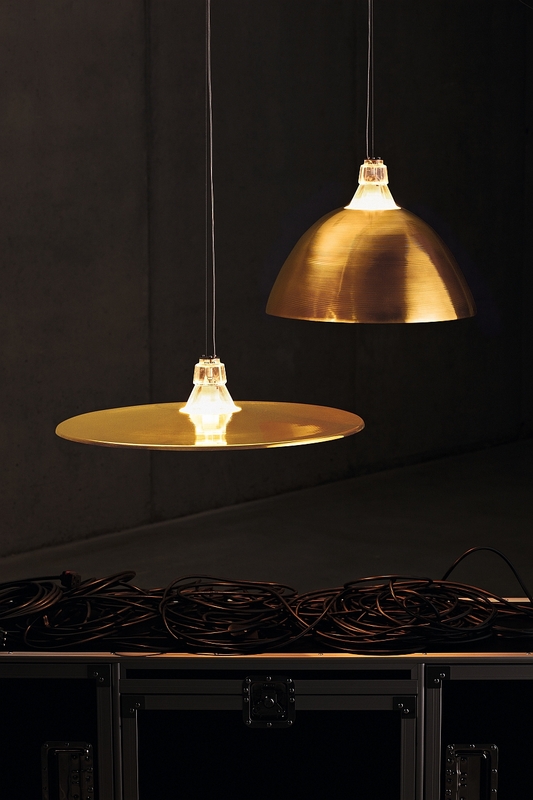 Yesterday, we kickstarted our preview of the event with some classic English inspiration from Tom Dixon, and today we marvel at the lighting delights from Foscarini. 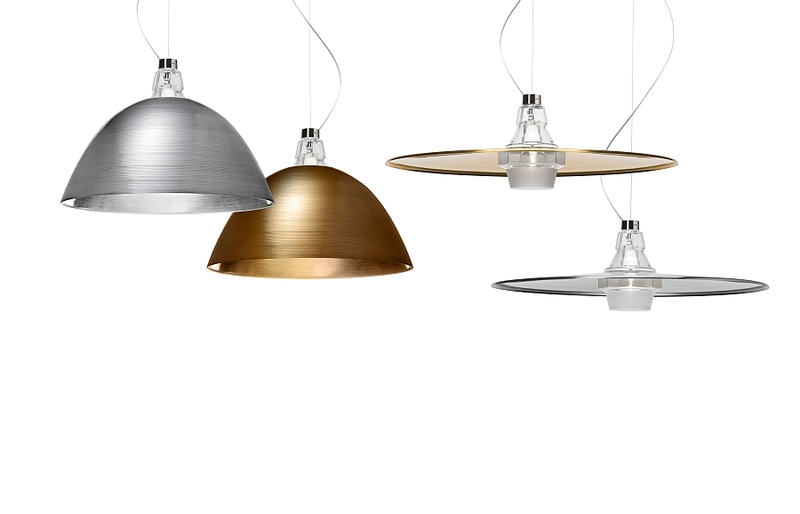 Inspired by elements ranging from oriental design to the rock-n-roll era, this quartet from Foscarini promises to fill your day with radiance draped in style! 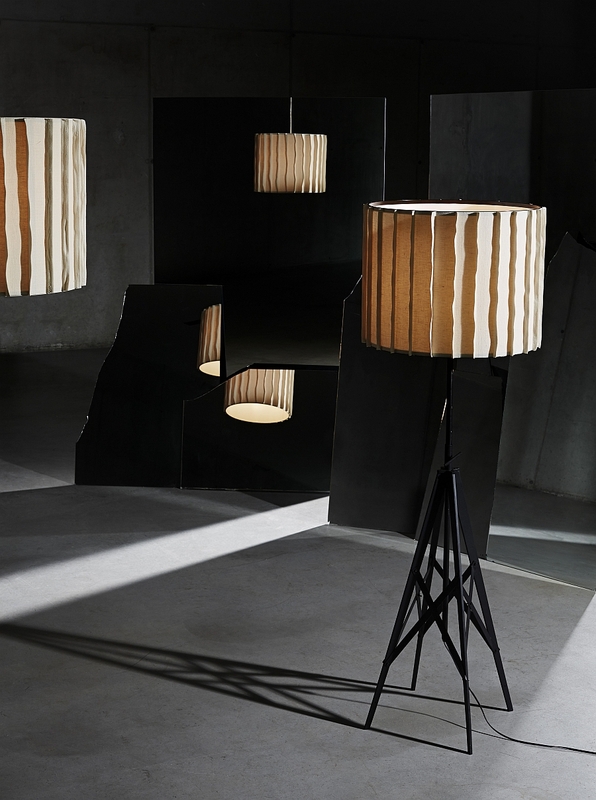 Crafted by the creative team of Diesel Living for Foscarini, this imposing floor lamp was inspired by the form of those large electric pylons that you see globally. 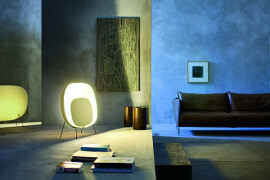 A diffuser in coupled linen balances the sturdy metallic base of the lamp. 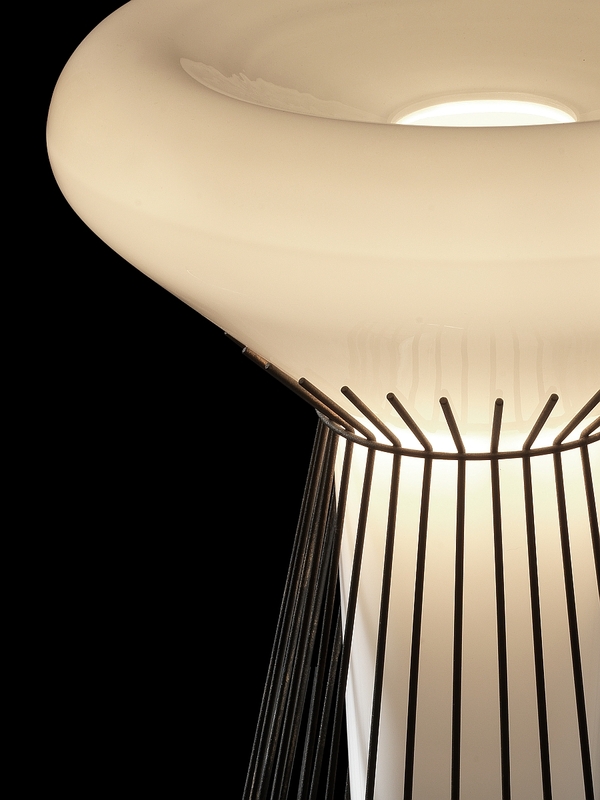 Available also as a pendant light, Pylon is perfect for those looking for a floor lamp that has a chic industrial style. Its trendy ivory finish ensures that this fashionable lighting fixture is right at home in modern interiors clad in neutral hues. If you are a fan of deep sea expeditions, then the form of Metafisica will seem eerily familiar. Glowing with a warm, gentle hue, this remarkable table lamp looks like a deep sea creature that has just emerged out of darkness! 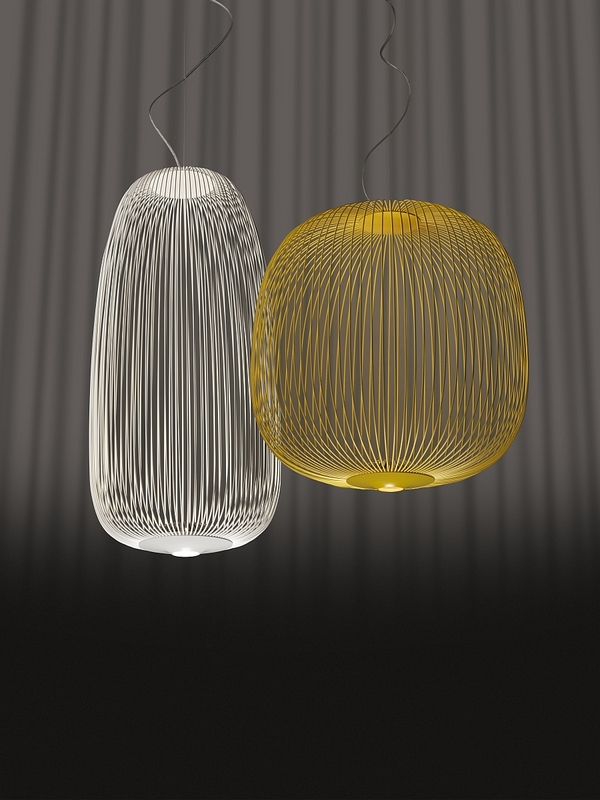 Surrounded by a delicate metallic cage, its blown glass diffuser looks as if it is floating in midair when switched on. (Hence, the name.) 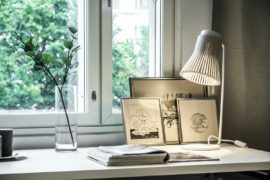 Sculptural and striking, this exclusive lamp looks great next to your bed on a nightstand or sitting on your office table. 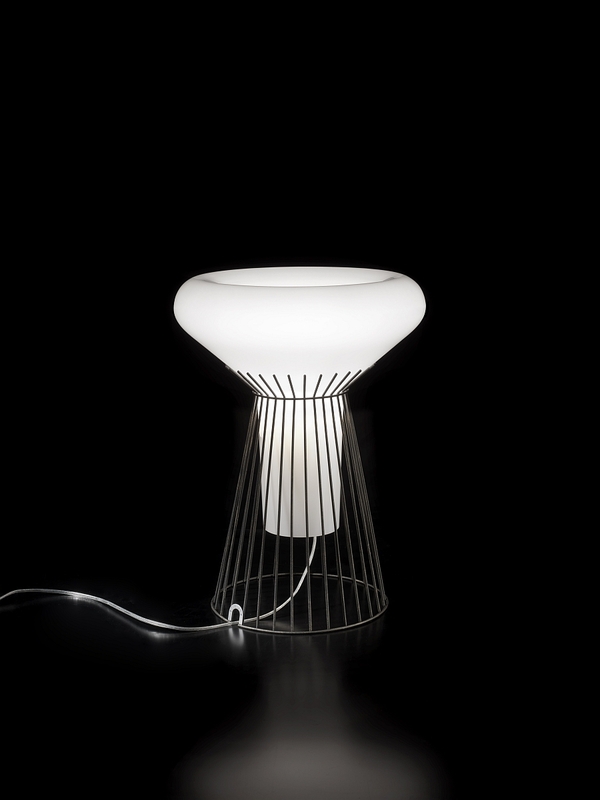 Designed by Vicente Garcia Jimenez and Cinzia Cumini, Spokes seems to be the star of the Foscarini show with Milan as its backdrop. 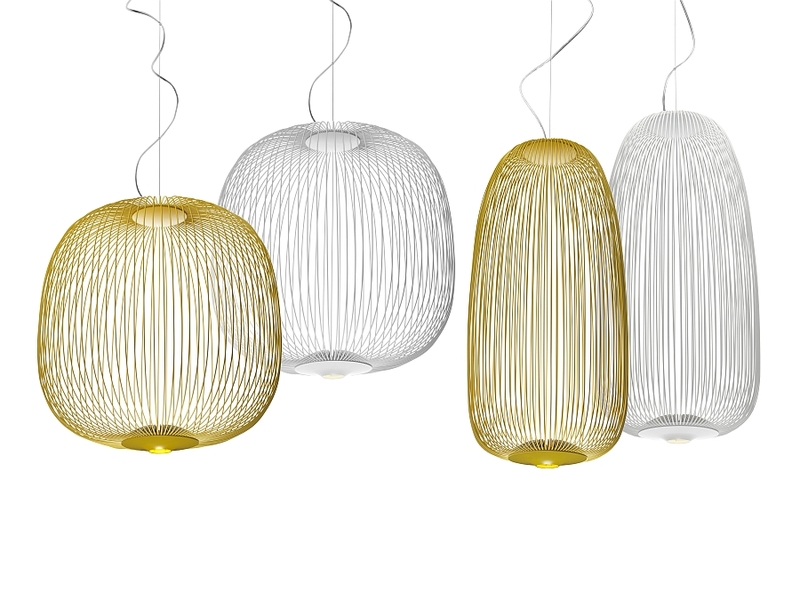 Inspired by the timeless form of paper lanterns, these pendants reinterpret classic oriental design. While the silhouette is inspired by the Far East, the material and execution draw cues from the spokes of a bicycle. 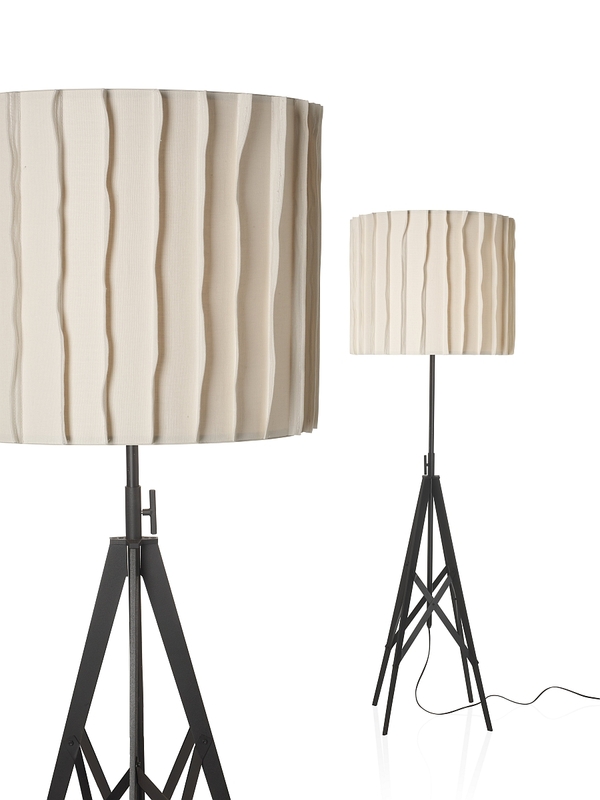 A touch eclectic, lightweight and even whimsical, these seemingly simple lamps feature plenty of artistry. 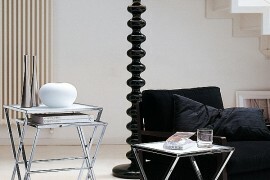 The metal rods of the lamp allow you to play with light and shade to create a very unique and serene ambiance. Rock-n-Roll with Crash & Bell! 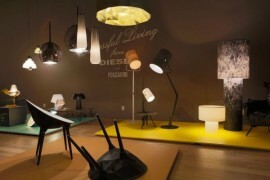 Our first glimpse of this dynamic duo was when we saw the unveiling of the Diesel Fall 2013 Home Collection for Foscarini. Now we will have a chance to meet this couple that seems to have time-traveled from the ’70s! 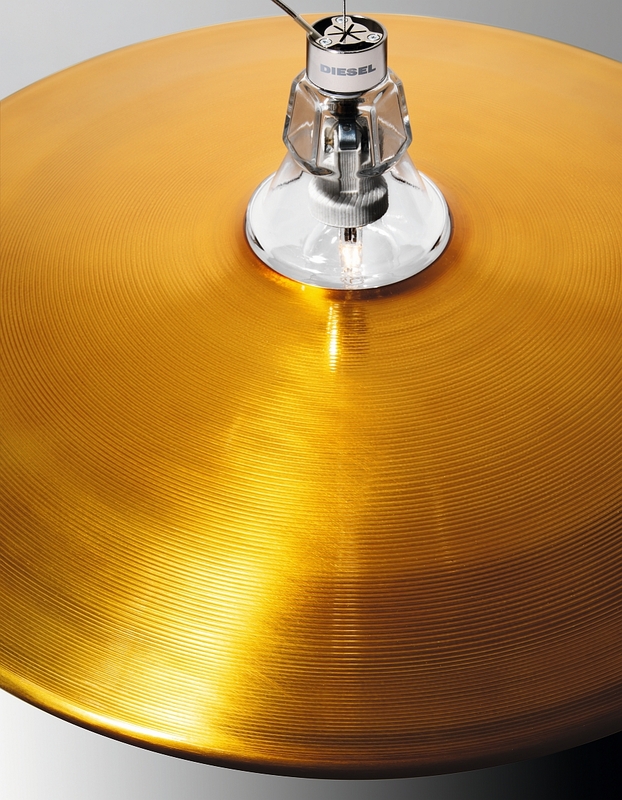 Crash & Bell suspension lamps are the perfect way to showcase your love for music. 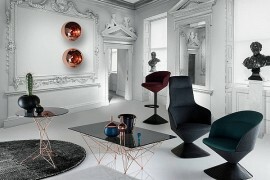 With the use of metallic accents becoming a popular trend, this twosome could be the perfect way to enliven your room. Imagine a ceiling full of these twin wonders in crazy combinations, and you have a great setting for a rock concert right at home! 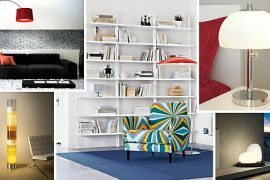 Unique Contemporary Floor Lamps That Stand Out From The Crowd!